An article on CIO.com refers to people in IT as introverted techies, whilst being either introverted or a techie or an introverted techie, Tom Kaneshige – in his article – suggests they should get out more. Kaneshige calls CIOs and IT personnel the “new internal technology consultants” and urges them to become more salesy and people savvy. A good idea and it should apply to everyone in the workforce, get out of the office or cubicle and communicate more. Find out more about your colleagues and what they are doing, it will help to all work for a common goal and make for a more pleasant work environment. A big part of sales game is remembering names, actually it is a big part of being in a community, any community. We all like to recognised and remembered and when we are addressed by name it does feel good. The article quotes Piera Palazzolo, senior vice president of marketing at Dale Carnegie Training, now they would know something about “winning friends and influencing people”, with tips on how to remember someone’s name. This trick has been espoused for a long time, by many coaches and yes it can be effective but it can be tricky. 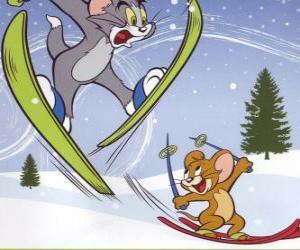 As his name is Tom, Kaneshige thinks Palazzolo, on meeting him, would repeat his name several times over and probably associate him with Tom and Jerry and then visualise him surrounded by PCs due to his technology role and put him on skis, as she discovered he liked skiing. Whew, that’s a lot to remember from the first meeting and do all conversations get that personal so early on? Another good thing to do when meeting someone for the first time, if it is a business card sort of gig, is to write something about your meeting, just dot points, on the back of the card. If you are in a meeting and everyone is new, ask them to introduce themselves not just their name but what they do and maybe something non-work related. Write this down, note form is good. Writing is a great way to remember things. Studies have shown the physical activity of writing requires more brain activity or “mental lifting” and therefore aids memory. Also you can always go back to your notes, the next time you meet the group and refresh your memory. Forgetting names, who someone is, is stressful for you and not so pleasant for the other person, so techniques to help remembrance are good habits to learn.